There are quite a few intranet systems that include native instant messenger solutions with integrated chat functions. At first glance, an all-in-one package like this might seem attractive. You can tick off an important requirement without having to license, implement, and roll out a separate software solution; and you don't need to worry about integrating independent tools. But at second glance it might not be such a good idea after all – and there are two main reasons for it. Firstly, a small integrated solution will never live up to the features and performance offered by a professional, dedicated single solution. All-in-one packages are often characterized by what I call "the Curse of the Generalist." They can do a bit of everything but none of it really well. Secondly, this will send a wrong signal to team members. 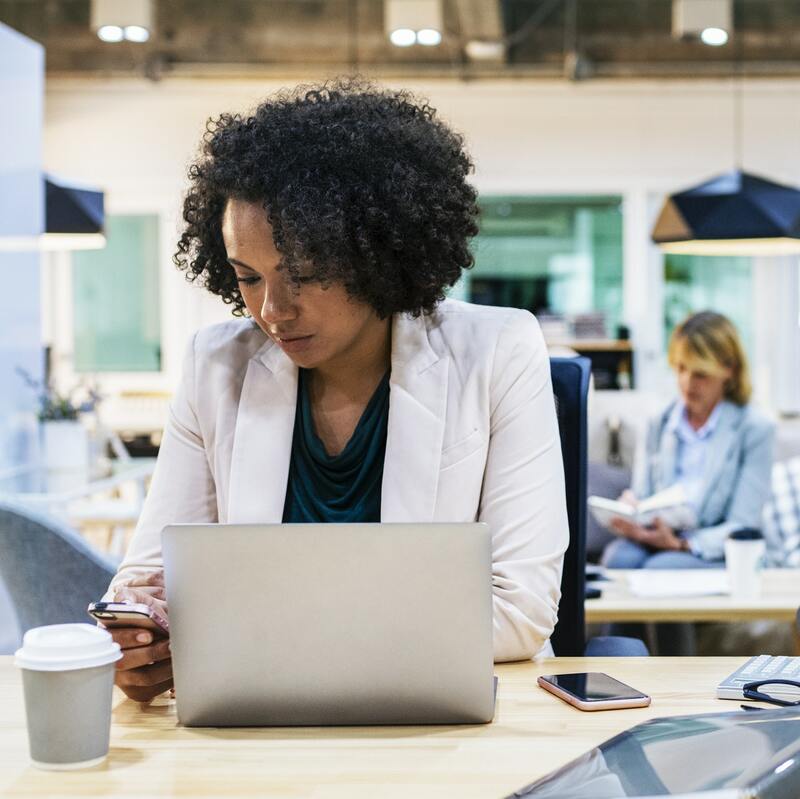 Instant messaging plays too important a role within a company to try to wrap it up with solutions that are restricted in their capabilities, as this also leads to a feeling of inconsistency when it comes to adoption among employees. In more and more companies, instant messaging is quickly becoming the most important digital communication channel used. It provides significant gains in terms of productivity and transparency, thanks to more effective and secure collaboration, a reduction in the number of internal emails, and the centralized availability of information. Today's use case for group chat is too large, too important, and too strong to believe that a simple "sideline" integration is a sufficient solution. Modern group chat software such as Slack or Google Hangouts Chat are comprehensive and customizable and offer a broad range of functionality. Professional instant messaging solutions have their own web interfaces and clients. They even have their own smartphone apps – the result of dedicating large development teams. I am yet to encounter an integrated chat solution that even comes close to Slack or Hangouts Chat in terms of functionality or availability within an organization. Do you know of one? I'm anxious to hear about it! Based on my own conviction and experience, an extra that comes with a larger software package cannot provide a messaging solution that is as professional and high-quality as it truly needs to be. When a software solution is good and relevant to their work, employees tend to adopt it very quickly and stick with it for the long run. As long as the company visibly attaches enough importance to it. This applies to company wikis, task management systems, and messaging software too. Visible relevance is a key factor in the level of adoption. In fact, the company must assign the whole topic of messaging enough value and resources. Otherwise, users within the company won't take the solution seriously, and above all, they won't appreciate or make use of it. In practice, a half-hearted approach is quickly exposed as being such. It will rarely make it past a small group of early adopters. Instead, people will go back to their "tried-and-tested," omnipresent alternatives to coordinate and collaborate within their teams. They're known as WhatsApp, Facebook Messenger, Skype, and co. Informal but always available, these tools are outside of the company's control, and are in fact aimed at private users and not designed for use in a business setting or for professional team collaborations at all. Communication becomes decentralized, decisions are no longer traceable – that's without even getting into possible security or compliance issues. It is these problems that an organization wants to suppress and solve with a centralized messaging solution for its teams. The doubts I've expressed above do not mean that there should be no integration for social intranets. Quite the opposite: With our own intranet solution Linchpin, we have focused on creating a system that integrates all of the cloud tools within a company, making them available in one central location. However, the solutions themselves are native, dedicated tools, not a tacked on extra in the intranet. No one would dream of using intranet software to write invoices, register employees' working hours on project tickets or manage developers' Git repositories. But many believe the intranet should have a native group chat function. It is important, and it makes sense for a professional social intranet to show who is online and available to chat. The intranet should indicate their current availability and even a direct way to contact them. Real messages aren't exchanged via the social intranet but using an application that has been built to do so, along with all of its useful features. In this way, the social intranet can and should serve as a cockpit to control the most important applications within a company. It shouldn't offer half-baked solutions for such important use cases like as messaging and group chat just to tick more boxes off the list of intranet requirements. These functions are best in native systems which are adopted by employees much more effectively.